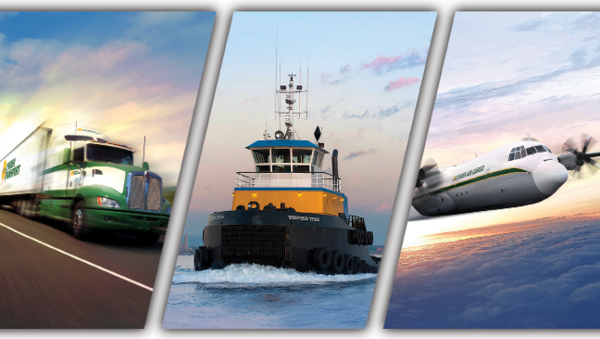 At Lynden, our job is to deliver innovative transportation solutions to our customers. Lynden began with a clear mission: put the customer first, deliver quality, and be the best at what you do. Today, Lynden’s service area has grown to include Alaska, Washington, Western Canada, and Hawaii, with additional service extending throughout the United States and internationally, via land, sea and air. Our mission remains the same. Complex transportation problems can be solved in the hands of the right people, with the right tools and the right experience. Over land, on the water, in the air – or in any combination – Lynden has been helping customers solve transportation problems for over a century. Operating in such challenging areas as Alaska, Western Canada, the South Pacific and Russia, as well as other areas around the globe, Lynden has built a reputation of superior service to diverse industries including oil and gas, mining, construction, retail, seafood and manufacturing. Lynden is a family of transportation companies with the combined capabilities of truckload and less-than-truckload transportation, scheduled and charter barges, intermodal bulk chemical hauls, scheduled and chartered air freighters, domestic and international forwarding and customs services, sanitary bulk commodities hauling, and multi-modal logistics. The Lynden family of companies delivers a completely integrated freight transportation package. Our people have the knowledge to quickly respond and solve your multi-modal transportation problems. 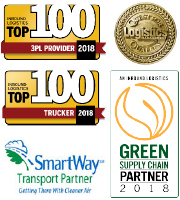 From origin to destination, over any terrain, managing freight movement, as well as the flow of information, Lynden provides innovative solutions to meet your unique needs, keeping you in control while providing you with services no other company can match. Lynden was founded on principles of integrity and quality. ​Its environmental commitment is based on a common-sense desire to be efficient and to do things right. ​Its culture of innovation and efficiency is completely in harmony with ​its commitment to protect the environment. Lynden's people, equipment, processes and technology are focused on the efficient use of resources and sustainable operations. Proudly serving Alaska for more than 60 years.